In the original Italian, Dr Maria Montessori coined the words casa dei bambini, which translates to Children’s House. 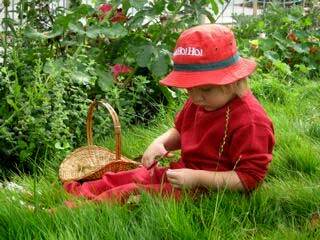 We use the term Children’s House to designate a Montessori preschool because we do not view it as “pre” school. We see it as a very relevant “school” that meets the child’s physical, emotional and intellectual needs between the ages of three and six. What are the elements of the Montessori approach that create a unique learning environment? Montessori learning strategies for all developmental stages call for the inclusion of purposeful activity – activity which connects the intellect with real to life experiences. The didactic materials that are found in Montessori environments are tools for reflective action. They are meaningful in that they draw the learner into relationship. They are not ‘tools for teaching’ as much as they are experiences upon which one constructs personalised theory. Knowledge is created through the transformation of experience. The boundary of liberty is the domain of the responsibility. Every child needs opportunities to acquire social, physical and moral responsibility. In the Montessori learning environment responsibility. 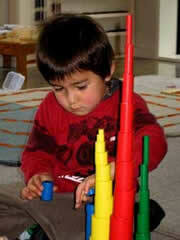 In the Montessori learning environment responsibility is developed through experience and natural consequences. Children are provided opportunities through social life activity to align themselves with the highest values needed in a democratic society. Communion is a basic human need to belong. It is an act of sharing that creates a context for personal and group meaning. A healthy community that requires the nurturing of deep communication skills – skills that honour children as individuals and ones that create a safe space for listening, hearing and honest dialogue. Love is not only the attractive force that compels us to be with each other, it is a continuum of respect and reverence for life and the unfolding potential of humanity. Without love, learning is reduced to a method or a subject and the field of experience is limited. Montessori explains, “A teacher must not imagine she can prepare herself for this vocation simply by acquiring knowledge and culture. Above all else she must cultivate a proper attitude to the moral order.” In every school subject there is an activity of love. It is this spiritual component which differentiates a Montessori class from a class that uses Montessori materials. Exercises having to do with care of self, the environment and concern for others. Concentration and co-ordination are developed. Grace and courtesy skills are practised. Exercises having to do with sense discrimination, observation and descriptive language. A clear approach fosters the continuing effort of children to categorise and organise the qualities of the world around them. Activities having to do with receptive and expressive language. Young children are interested in writing and reading. Given the opportunity, most children are ready to learn to read by age six. Activities having to do with counting and number relationships, including an overview of the function of the decimal system. Careful design of materials in the mathematics area and in the sensorial area lays the groundwork for the future learning in algebra and geometry. Experiences that provide children with information about geography, history, music, art, science and nature study. Other areas of interest or knowledge from the hobbies or occupations of our community are explored as well. Children attend core hours: 8.30am to 3.00pm, however depending on the individual needs of each child, especially the 3 year olds, there is the opportunity to start at ½ days and work toward full days.